Interactive Sound Installation Paradise (2016); Courtesy the artists. Douglas Quin is a world-renowned American sound artist and designer, who is on the faculty and co-directs the Audio Arts graduate program at the S.I. Newhouse School of Public Communications, Syracuse University. Over the past three decades, Quin has become known as one of the true renaissance men of the soundscape world. He has travelled widely documenting the natural soundscape - from Antarctic ice to Arctic tundra and from African savannah to Amazon rainforest. Quin's pioneering recordings of endangered and disappearing habitats represent one of the most unique and extensive collections anywhere. Lorne Covington is the creative director of NoirFlux and fluent with visual and performing art, electronic hardware, embedded systems, and all layers of software development. He creates immersive responsive environments using in-house developed cutting-edge sensing and software technologies. Lorne's work focuses on the intangible space between action and response, the moment-to-moment experience of involvement with a complex system that turns the act of viewing into one of exploration, creation, and play. At the VENICE INTERNATIONAL PERFORMANCE ART WEEK 2016, Quin and Covington present Paradise (2016), a multi-channel sound installation and interactive experience where visitors essentially compose a collage of virtual acoustic spaces drawn from the "natural" world. Depth cameras monitor and capture visitors' motion and interaction, providing program control information as people together explore the exhibition space. 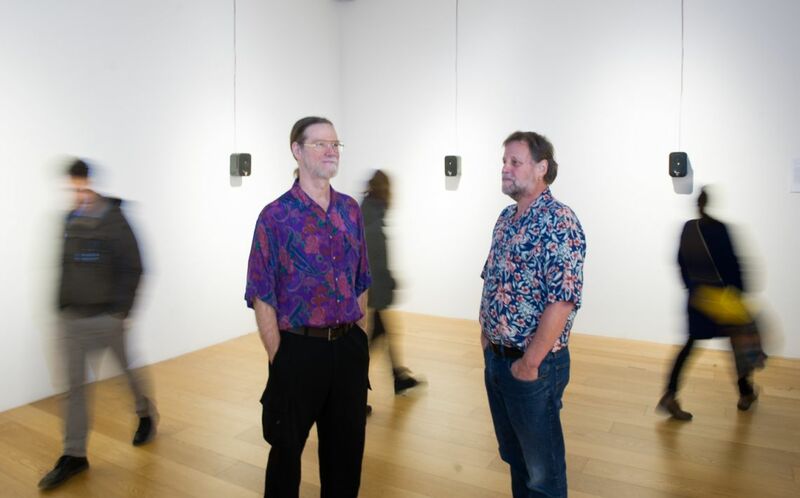 The soundscape is a reflection of presence and agency in an "abstract wild." Work commissioned by the SOCIETY FOR NEW MUSIC. Presented in Venice with the kind support of NEWHOUSE SYRACUSE UNIVERSITY.